In episode 8 of AND (A New Direction) Co-Author Eric Wright shares leadership insights, life insights, and more surrounding his book. Dogs Don’t Bark at Parked Cars: Your GPS in an Era of Hyper-Change. Eric discusses how as leaders and entrepreneurs when we look back it can “bite us in the bum”, the influence of how dogs can teach us about leadership. The power of synergy. How affirming others can be a powerful tool in bringing out the best in others and so much more! Eric Wright is President of Publishing at SCB Marketing. He is an innovative leader, dynamic speaker, and published author, he is powerfully insightful, and has taught leadership and management seminars on four continents. Eric has also served on various economic development and visioning councils, and authored hundreds of articles and three books. 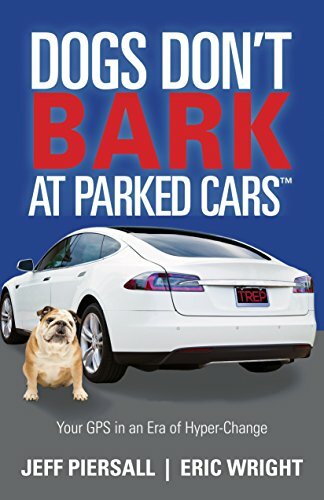 Get your copy of Dogs Don’t Bark at Parked Cars on Amazon NOW!